The Sony hack was obviously an inside job. No one outside the corporate bureaucracy had access to the information, bandwidth or time needed to download terabytes of data undetected. But it’s interesting that they chose North Korea to blame. As more information comes out on this scripted false flag cyber attack event, anyone who is awake and aware can clearly see what the true agenda really is. The three reports below should give you a broader view on this issue than what propaganda the corporate mainstream media is putting out. 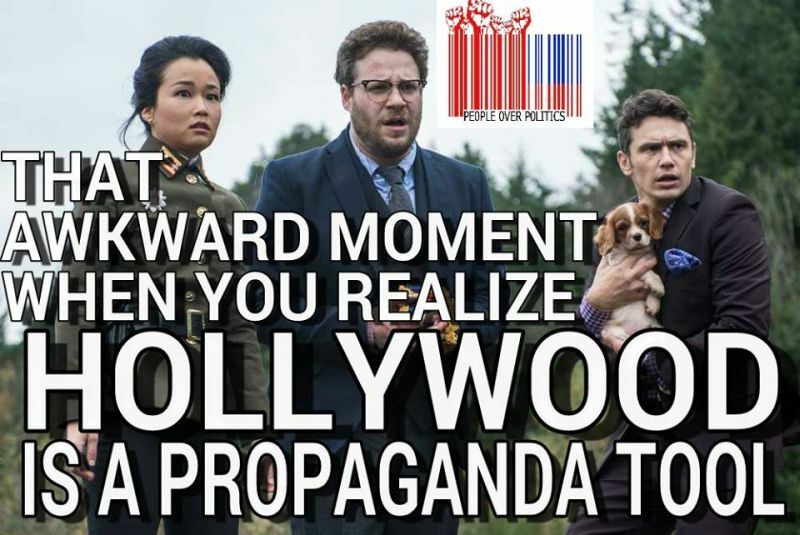 Evan Goldberg, co-director of the controversial film “The Interview”, recently said that the Sony hack which caused the film’s cancellation may have actually been an inside job. In a recent discussion with “Straight” magazine, Goldberg revealed that many knowledgeable tech experts at Sony actually believe that the job could only have been pulled off by someone on the inside. “My gut instinct was, ‘Oh no, is it the North Koreans?…For two seconds it was the North Koreans, and then the younger guys in our office who know way more about computers were, like, ‘No way. You’d have to know Sony’s network, it has to be somebody on the inside,” Goldberg said. These comments were made over a week ago and went largely unnoticed by the mainstream media. However, Goldberg isn’t the only one who thinks that the hack was an inside job. This week, computer security expert Vinny Troia told Fox News “America’s Newsroom” that there was much more evidence for an inside job than there was for a cyber attack from North Korea. According to uncovered emails by RadarOnline, a high-ranking CIA agent visited the Los Angeles headquarters of Sony Pictures Entertainment weeks ago, before the company released any reports of a so-called security breach. It did confirm the CIA official sat with Sony Senior Vice President for Corporate Security Stevan Bernard in the company’s floor-side seats in the Staples Center to watch the Lakers and Clippers play on October 31, 2014. Radar will not identify the name of the CIA operative because of national security considerations, but the document indicates the agent was hosted at Sony’s Culver City headquarters by the company’s security chief. This is just one indication of a close relationship between Sony execs and the U.S. government. Obama chides Sony’s decision to nix “The Interview” film, says US must retaliate and pass cyber act. The cyber act known as CISA (Cybersecurity Information Sharing Act) would legally let the US government to collect personal and private data from internet users, as well as spy on all US citizens through every corporate ISP provider. If they pass the CISA act, not only will they be able to spy on you, but the government will also be able to easily censor or block websites that doesn’t follow their narrative. Both Rep. Mike Rogers (R-Michigan), the outgoing chair of the House Intelligence Committee, and Sen. Dianne Feinstein (D-California), the chair of the Senate’s panel, said Congress must pass a bill that will more easily allow the private and public sectors to share threat information, the likes of which may prevent future attacks from ever unfolding. In October, Rep. Rogers said that the US government is in dire need of developing rules for waging offensive cyber operations, like the kind the president suggested could soon be launched against North Korea.